We hear it all the time: Blu-ray and DVD are on their way out. In the past people would ask, “You still own a VCR?” Now we hear people asking, “You still own a Blu-ray player?” Is the DVD/Blu-ray going the way of the VHS tape? Will Blu-ray players start collecting dust in closets? Will Blu-rays find themselves ranked among curiosities like beta max and laser discs? Personally, I think the death of the Blu-ray player and Blu-rays/DVDs in general are a little premature. There’s a vast community out there who still consume physical media. 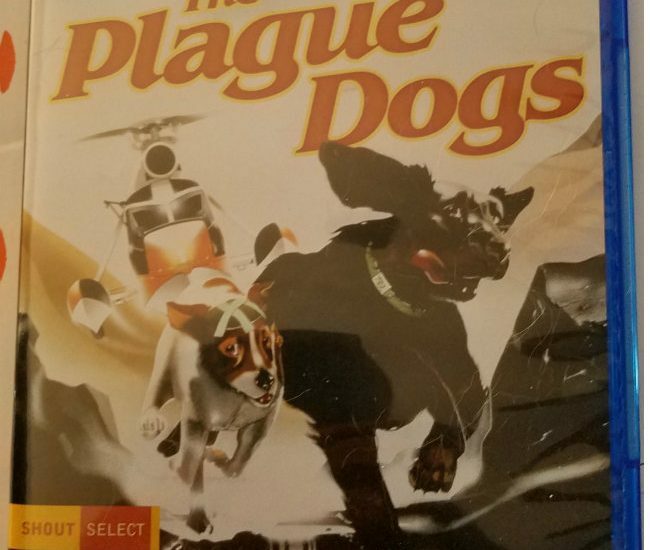 Who can blame us with releases like Shout Factory’s The Plague Dogs? 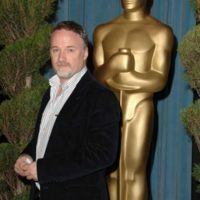 THE MOVIE: Martin Rosen produced two classic animated movies. Criterion Collection released a great edition of Watership Down some years ago. Rosen’s second classic was The Plague Dogs. 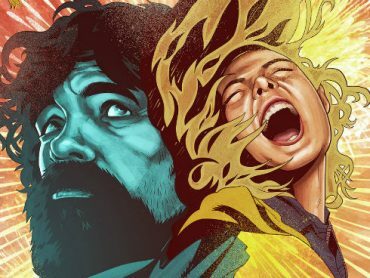 After too long of a wait a new edition of The Plague Dogs has been released by Shout Factory. 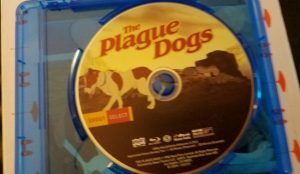 The Plague Dogs is not a kids movie. It’s a dark movie dealing with dark subject matter. Snitter, voiced by the late, great John Hurt, and Rowf are dogs who escape from an animal testing facility. Our first introduction to Rowf is the sounds him drowning so scientists can study the results. Snitter’s brain was scrambled in the scientist’s tests. 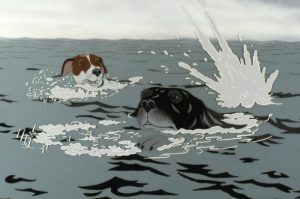 The two dogs escape the testing facility and make their way to the nearby town. Snitter and Rowf do their best living on their own outside the testing facility, but have to turn to killing the local farmers’ livestock for survival. The killings bring them unwanted attention and certain doom until the pair meet a fox named the Tod. The Tod is wise in the ways of the humans. There are a few human characters represented in The Plague Dogs. The scientists are seen only from an above shot. The friendly man with the shotgun trying to get Snitter to come to him is accidentally shot in the face. The Tod causes bounty hunter who’s hunting the dogs to fall to his death. Hungry with no source of food on the horizon, Snitter and Rowf eat the bounty hunter. It’s not a kids movie. It’s mainly through the human voice overs we learn the extent of the experiments conducted on the dogs. When the scientists and media aren’t telling us what occurred at the lab we see Snitter and Rowf’s flashbacks to their experiments and previous lives. The dogs are damaged mentally and physically. 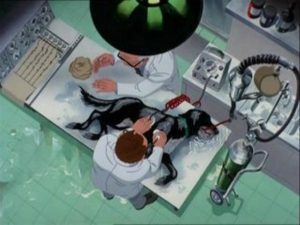 For an animated movie the scenes of Rowf being tested on and the affects of the brain surgery on Snitter are disturbing to watch. The cut scenes to monkey test subjects don’t help. We also learn the dogs may have the plague hence the title of the movie. 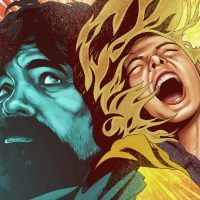 SPECIAL FEATURES: Theatrical cut or extended cut? Such questions can’t be asked of a digital download. More often than not you buy one or the other. Sometimes, for more money of course,you can get both. This is usually not the case. 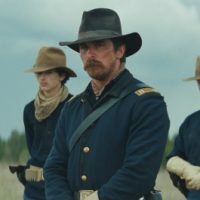 Whether an extended cut or a director’s cut is superior to the theatrical release of a movie is a question for another time. 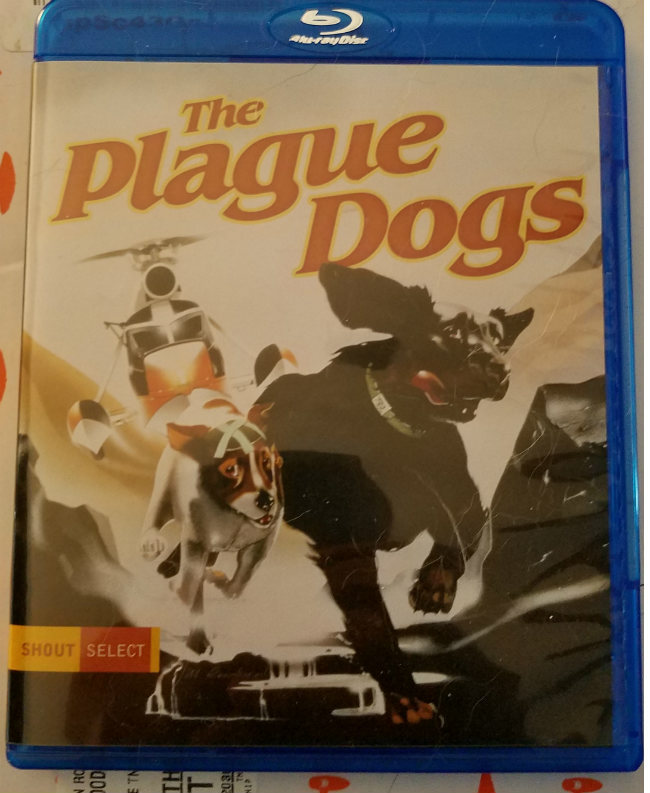 What’s not in question is Shout Factory’s issue of The Plague Dogs has both the theatrical and extended cuts of the movie. 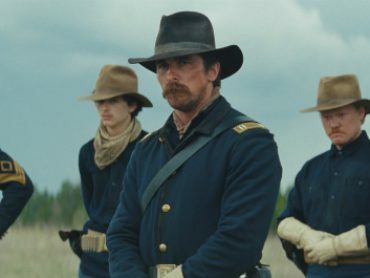 The extended cut was scanned in 2K from original film. You can tell the difference between the Shout Factory edition and previous releases. The picture in other editions have been grainy. The copy you can stream through Amazon Prime is passable at best. The animation in the new 2K scan is as crisp and clear as a forty year old film can be. The sound quality has also been greatly improved. 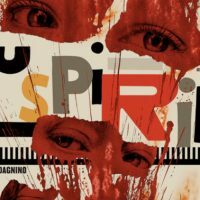 The only other special feature on the disc is a new interview with producer Martin Rosen. 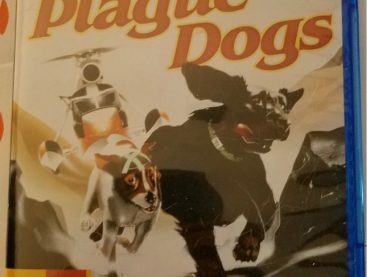 It’s a short interview, but we get to learn a little background on the production, success, and failure of The Plague Dogs. We also learn Rosen fired Brad Bird (The Incredible, Mission Impossible: Ghost Protocol) from the animation team. PACKAGING: There’s not too much to say about the packaging. It’s your basic Blu-ray package with art from the movie poster on the cover. FINAL VERDICT: The Plague Dogs may not have been successful when it was originally released. However, it has gone on to become an animation classic. Animation fans and fans of classic movies will love this new edition. It’s worth every penny. No explosions. No zombies. No fighting over resources. I Think We're Alone Now is more than these tropes put together. 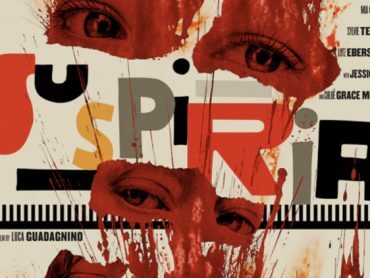 Can't wait for Amazon to stream Suspiria for free on Prime? No worries. The movie has recently been released on Blu-ray. Finally. 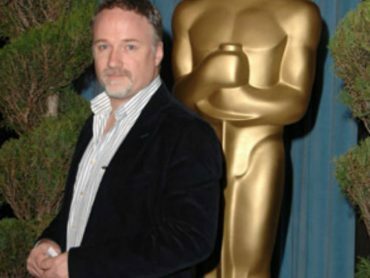 Part 3 of our 3 part look at the movies of David Fincher. 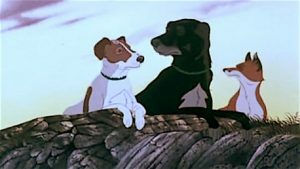 Shout Factory recently released the animated classic The Plague Dogs so we watched it, reviewed it, and put some words together for you to read and enjoy. Hit us up on social media or subscribe to our RSS feed. Sometimes we struggle with planning and forethought and design items and all these other things, so we ended up with this extra space. BUT, because of this, you reap the reward. Enjoy our favorite YouTube video!